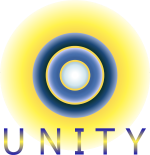 Receiving a Unity Bubble is very simple... similar to downloading a program for your computer. The transmission is always done in real time and can be transmitted anywhere in the world. Transmissions of this nature are beyond reality as we view it here. Physical proximity is unnecessary. Resistance and pure intellectualism will be found to be serious impediments. Simple, really. Children are most open and that attitude most desirable. Sessions are done online or in person. Transmissions can also be for a group of any size. While the transmission itself takes about ten minutes, your personal session lasts about one and a half hours so that Jonathan and/or Hazel may answer your questions. You sit comfortably in a quiet spot, relaxed and meditative, then the transmission process begins. Jonathan establishes a resonant heart connection as you turn your awareness inward. When that connection is made, he makes his own connection to the Unity Bubble through his higher aspect, drawing the space down and transmitting it to your heart space. Your personal Unity Bubble expands around you. Then there is a period of silence for you to appreciate your newly acquired Unity Bubble. Each transmission is unique. People feel it in many ways. This is dependent on personal make-up, sensitivity and life experience. Some hear heavenly music, some a voice speaking to them. There are those who have felt a seemingly physical hand enter their chest and lovingly cradle their heart. A sense of profound peace, intense clarity and well-being often follows. For others it may take some time, especially if they are very much in their head, rather identified with their own thoughts or have never explored the deeper feeling aspects of Life. They may be new on this road. It takes time to build a meaningful grasp and connect the dots. It isn't necessary to see the energy field around you, indeed most don't. Experiences are as varied as are people. Children, who we know are naturally very open, exclaim that they "see" the bubbled space around them. Its size varies from eighteen inches to three feet, expanding and contracting with your state of being. When you are very happy the Bubble expands on its own. There is a feeling of protection, safety and comfort.